Anthony Palin Completes Marathon des Sables – A True MJ Warrior! 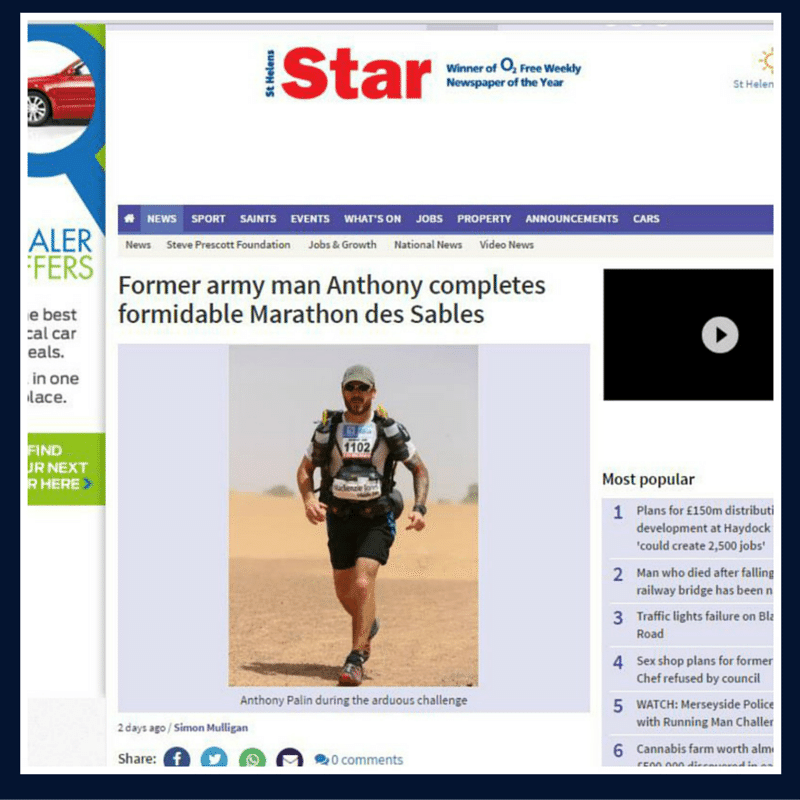 Last month our super-charged MJ Warrior, Anthony Palin, took on the incredible Marathon des Sables in the Sahara Desert, supported by Mackenzie Jones. For those of you who haven’t heard of the MDS challenge it is commonly known as the ‘Toughest Foot Race on Earth’, so no mean feat then Ant?!! It’s what’s known in the trade as a Multi-Day Ultra Marathon, which translates into layman’s terms as 6 marathons in 6 days, in the blistering Sahara Desert heat, carrying your own backpack! Mackenzie Jones have been extremely proud to have sponsored and supported Ant up to and through this challenge. I think we can agree he is formidable guy – determined and focused with a very big heart.